If online retailers get better at handling returns of those ill-fitting clothes you just bought on the internet, one of the hottest parts of U.S. commercial real estate might lose steam. Reverse logistics, which includes processing and warehousing items bought online but returned by consumers, currently accounts for a major chunk of rising demand for U.S. warehouse space, but that could change drastically as retailers become more efficient and bring those return operations into their stores, said brokerage CBRE Group’s Americas head researcher Spencer Levy at a recent University of San Diego real estate conference. Levy pointed to retail industry data showing $5 billion in retail goods nationwide were thrown away last year because they had lost value through the process of being shipped back to warehouses then inspected for potential resale. Much of those goods were not deemed suitable to be shipped back to store shelves or e-tailer sites for restocking and re-sale. He said Target, for instance, has already begun expanding the space devoted to e-commerce returns at its brick-and-mortar stores. A bonus for retailers: When shoppers bring items back to stores, they often stick around and buy other stuff. Historically, retail returns comprise about 8 percent of total in-store sales, but the rate of returns for e-commerce sales are much higher, up to 30 percent depending on product type, according to the National Retail Federation. 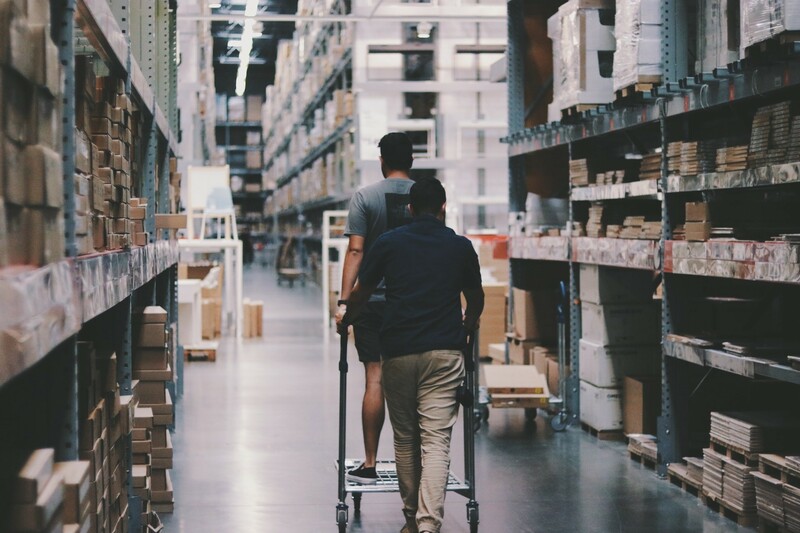 According to a recent CBRE report, the number of e-commerce-related warehouse purchase deals in Southern California rose by 74 percent over the past five years, due mostly to return-related activity. In 2018, reverse logistics demand resulted in 37.7 million square feet of new industrial demand in the region, up 29 percent over the prior year. Citing data from technology firm Optoro, CBRE noted that moving returned items back through the supply chain requires 15 to 20 percent more space than “forward logistics” because processes are more labor and space intensive. For now, the effect of returns on industrial real estate appetites shows little sign of slowing and will likely keep growing in 2019. The latest CoStar data, which does not track reverse logistics, showed general industrial rents rising significantly amid low vacancy rates in multiple U.S. cities.